Mix ½ tbsp sugar and yeast in warm water. allow to sit at room temperature for 10-12 mins. Add the flours, salt and oil to the bowl of yeast mixture after the yeast solution bubbled and frothy. Mix well and knead to a smooth and soft dough. Rub oil on the whole dough and keep covered for up to 1:30 to 2 hours until leavened. Beat the butter with a spoon till light and fluffy. add all the spices & herbs along with salt. mix well. Check the seasoning in the garlic spread and add more of the herbs, spices or salt if required. Lightly punch the dough before making the rolls on a work surface. Spread the garlic butter evenly on the dough. Roll the dough till the end. Make a similar roll with the other part of the dough. First give a cut from the center and then equally cut the two parts. so you have now 4 equal slices of the rolled dough. Grease a pan in which all the 8 rolls will fit. 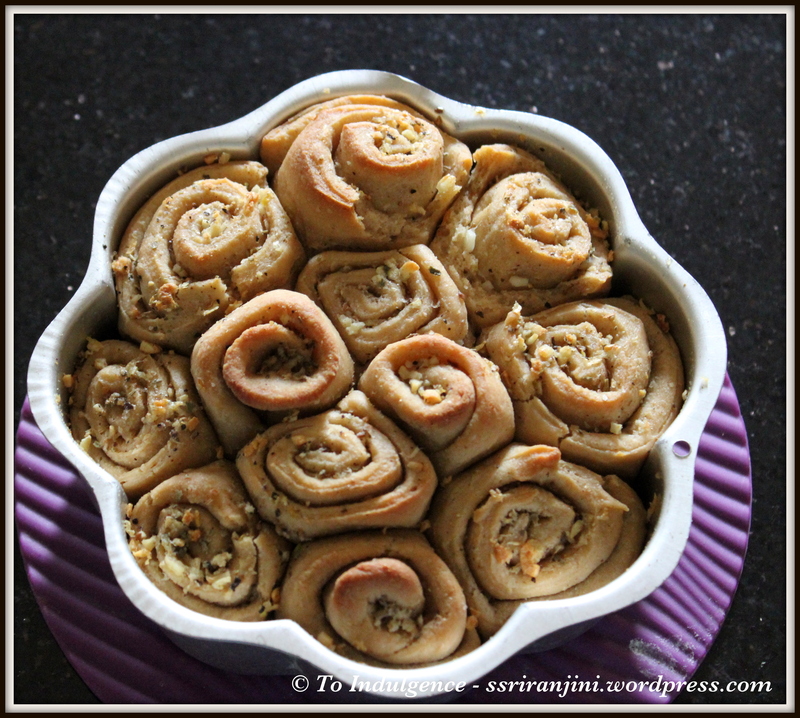 place the rolls in the pan and brush their tops with remaining garlic butter. cover and let the rolls double up for 35-40 minutes. Sprinkle some sesame seeds on top of the rolls. Bake in a pre heated oven for 30-35 minutes at 180 degrees C till the tops are golden. 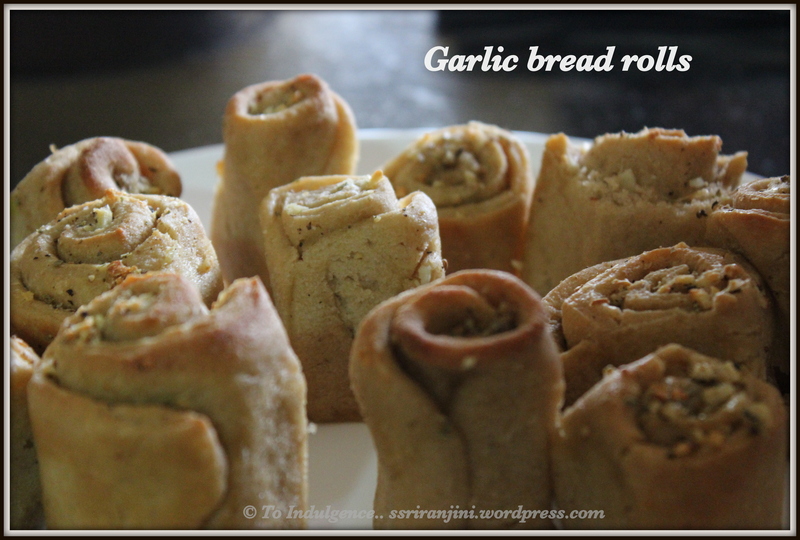 Serve the garlic bread rolls with tea or coffee.